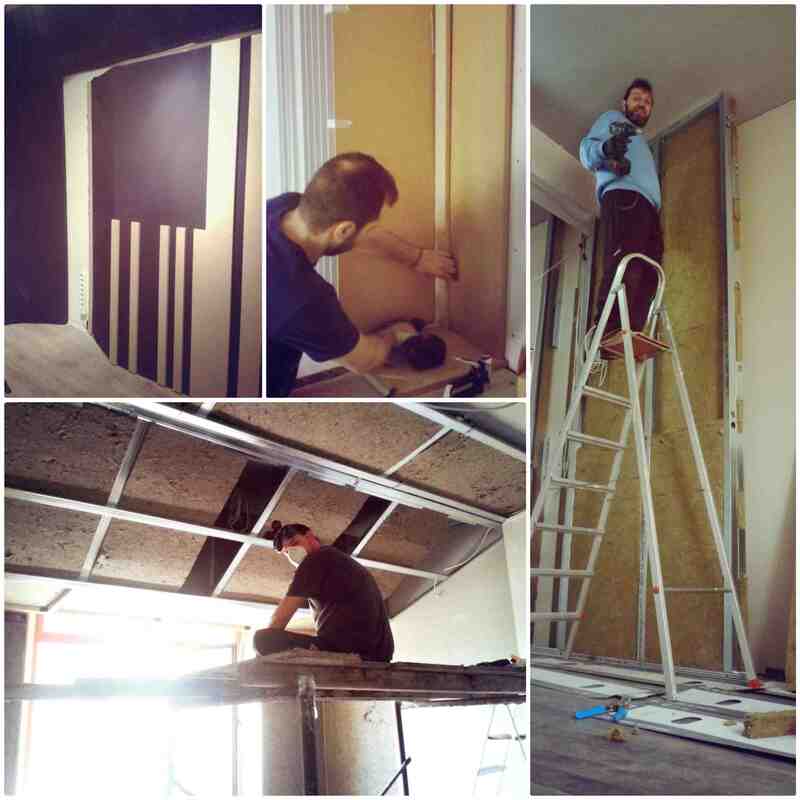 Time for a studio update for Sound Ex Machina (http://soundexmachina.com), acoustically treating the initial control room and building a new one from scratch. It was quite an endeavour for sure. We learned a lot, worked hard with strict timelines and so forth, following the instructions of Dani Joss, the guy who treated our spaces, who designed and supported with his 100% this session. Let’s meet him, hear his design philosophy and the problems he encountered at S.E.M studio. 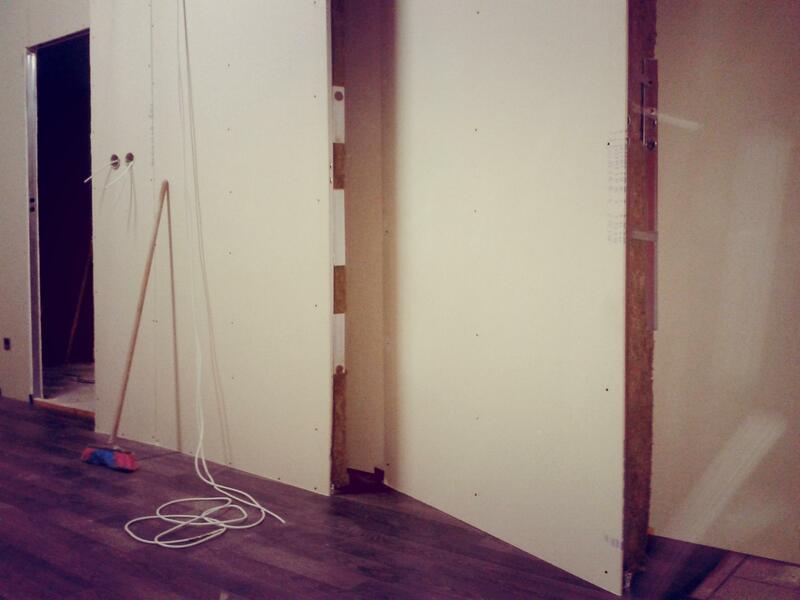 Tell us a little bit about yourself and your work in the acoustic treatment area? 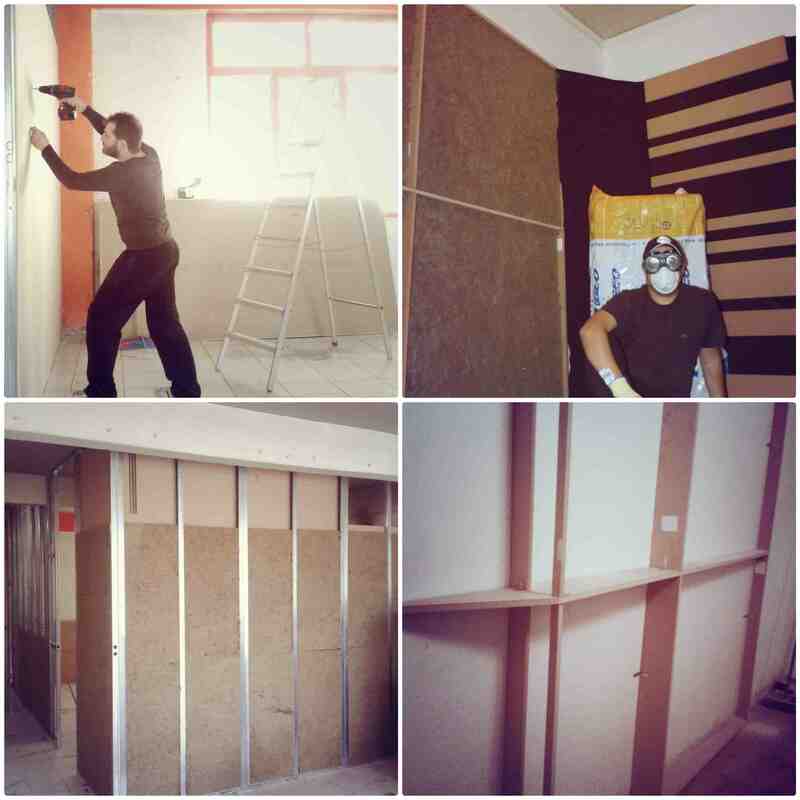 When I built my own small recording studio with Aliki Iosafat a few years back, we were aiming to create a control room that was as accurate as possible in a constricted space (about 19m² after the insulation work). We used our combined understanding of architecture and acoustics to achieve just that, in the process coming up with a variety of solutions for absorption, diffusion, reverb time control, leveraged the effects of geometry on modal distribution and specular dispersion, and, most of all, came up with ways to work around the problems inherent in pre-existing spaces, that is, rooms that have not been built from scratch for this express purpose. Our method is built around custom designs: every single room or acoustic element within it is unique to fit physical space, intended use, and budgetary limitations. It turned out that a lot of this research, in terms of design patterns, budget management, and building techniques, was transferable to other projects. 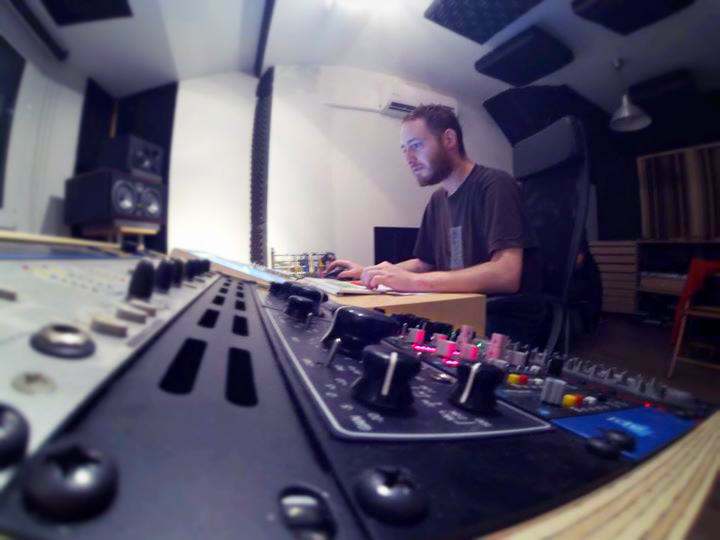 Since then we have built many more studio spaces, not just control rooms, but also recording rooms, booths, as well as complete commercial installations, while at the same time experimenting with concept designs for future use. Our method is built around custom designs: every single room or acoustic element within it is unique to fit physical space, intended use, and budgetary limitations. The other room was much larger and we had control over overall geometry as well, so we used the increased distances involved to design deep diffusion. We also included some slat resonator units to control the low-mid frequencies without over-deadening the space. We are always a touch conservative when implementing the elements computed in the model: There are unknown variables to consider, such as furniture, equipment racks, and a variable number of people in the room. Thus, we commonly specify some “optional” elements, the installation of which should be determined after some real world use. 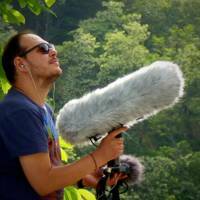 Did you conduct a room analysis before you started designing the acoustic treatment? We model the spaces theoretically, but do not take measurements. One reason is that they are expensive (you need two sets: “before” and “after”). The most important one, however, is that the applied treatments do not actually change much. Figuring out narrow-band problems is one thing; correcting them is another. Even the high-end big-money acoustic product brands don’t offer precision elements. 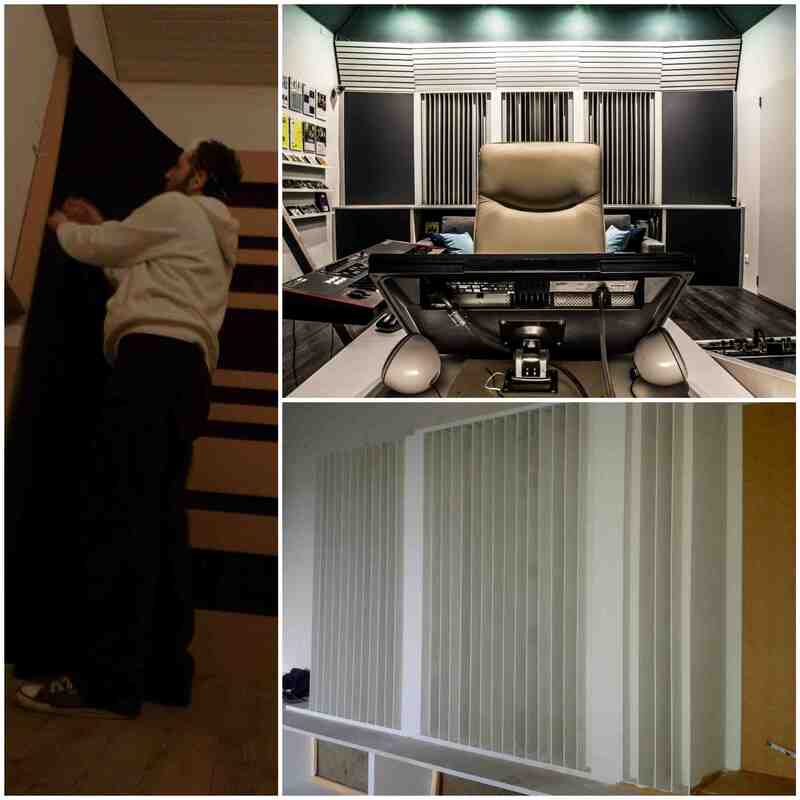 We do not sell acoustic elements, we offer designs with building instructions for our clients to build themselves. A precision device can deviate a lot from its design frequencies: an offsite laboratory is absolutely needed to test the design, if mass-manufactured, but if hand-made, each and every piece would have to be tested and tuned individually. So we don’t use these because nobody can build them; if one could, then measuring and tuning them, if at all possible after the fact, would make them prohibitively expensive. Even the high-end big-money acoustic product brands don’t offer precision elements. Additionally, high-Q absorbers (such as some available cylinder traps and certain Helmholz designs), have such a low efficiency that more of them are necessary than there is wall space. On the other hand, broadband treatment is extremely effective at treating these problems: the trick is to figure out the depths, densities, and surfaces that are needed. You don’t need measurements to do that. Another reason is that clients can rarely read detailed measurement results, which are in the form of unsmoothed waterfall plots. The simple frequency response plots that some people use for such purposes is misleading: they usually have third-octave smoothing applied (sometimes even full-octave). Room problems are too narrow for that to show anything meaningful; they are, yet, often used for bragging rights. Of course, if a client actually wants measurements, we are happy to make and provide them. Larger spaces, like concert halls, however, are a different story and cannot be thusly approached. What was the most noteworthy acoustic problem you found in both control rooms A and B? How did you overcome the room faults you encountered? Room Β was small, and physics is particularly cruel when so. It was also a fixed shape, with little panel depth available. The problems in such cases are modal response and haas zones, plus the fact that you can’t effectively use diffusion. Therefore, the approach was holistic, i.e. we worked to minimise the impact of these problems. if something can’t be made to fit the ideal concept we make it part of the design and see whether we can creatively take advantage of it. Room Α could be made much larger: the problems there were of a more practical nature, such as a window that we needed for daylight that was too high relative to our ceiling treatments, as well as a protruding structural beam that was not exactly parallel to the existing front wall. We ended up using that to create some more bass trapping, thus illustrating another of our principles: if something can’t be made to fit the ideal concept, we make it part of the design and see whether we can creatively take advantage of it. What materials did you choose for absorption and diffusion? 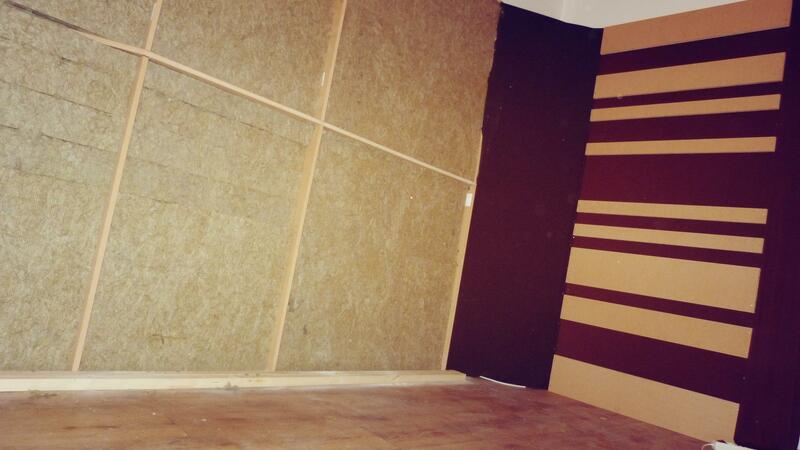 The very basic stuff only: rockwool, gypsum boards (plus metal studwork), particle boards, fibre boards, and fabric. We sometimes work with membrane materials, but they can be very expensive. What technique did you follow for the bass trap setup (both for studio A and B)? Contrary to popular belief, almost all products marketed as bass traps are in fact broadband traps that extend to the bass region, and so are ours. We used corner spaces to make them deeper without occupying much floor area. We do design (space permitting) low-midrange absorbers using the Helmholz principle, and make sure they are well-damped, relatively broad, and overlapping. Low frequency resonance absorbers are possible with some semi-exotic materials, but making them with wood as the membrane is risky: the slightest underdamping can make matters much worse by increasing decay time at the resonance frequency, which is a more serious problem than the reflected amplitude of that frequency to begin with. Acoustic treatment, when properly done, is much more effective sonically than a new pair of expensive monitor speakers. There is not one person in existence that did this and did not immediately experience a massive improvement. A word of caution though: the once popular polyurethane open-cell foam (brand names such as “technofon” or “ricofon”) with the egg-crate or labyrinthine pattern is not suitable treatment in and of itself: at most one can make an extremely dull—frequency-wise—space, sometimes quite boomy and boxy as well. The material itself is very useful, albeit rather expensive compared to the common building stuff; one must however use appropriate thicknesses and wall spacers to ensure proper broadband behaviour. It’s a matter of the physics involved, pertaining to the wavelengths of targeted frequencies and the underlying reflective areas, and nothing to do with the material per se. The problem is actually the misconception that these should just be glued to the walls. Acoustic treatment, when properly done, is much more effective sonically than a new pair of expensive monitor speakers. There is not one person in existence that did this and did not immediately experience a massive improvement. 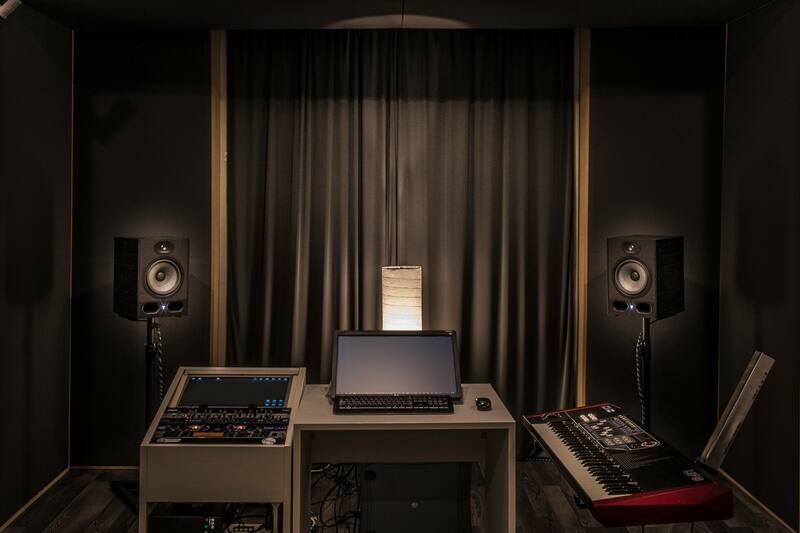 We would encourage current and prospective studio owners to seek professional assistance, not just for acoustics, but for all other aspects of a studio installation, such as audio and power wiring, grounding, configurations, future expansion planning, even specialised furniture. We would also encourage building with reference to a business plan (even if the installation is for amateur or recreational use). 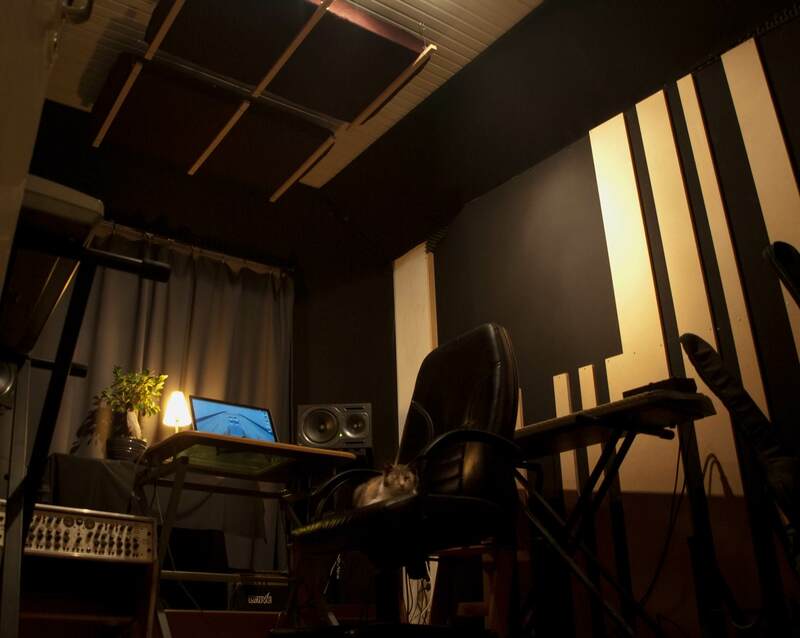 A studio, no matter how large or small, is a substantial investment. Targeting particular activities, production processes, and so on, will help determine one’s needs, and furthermore ascertain the subset thereof that should be handled in-house or outsourced; in other words, efficiency. 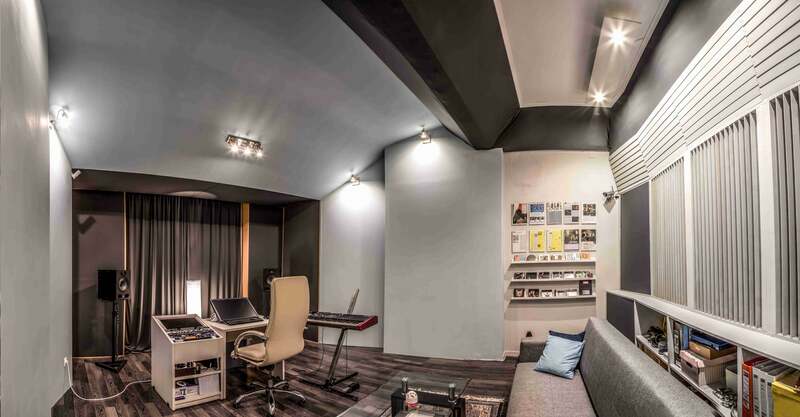 Acoustics is usually overlooked or dismissed as a luxury, while in truth it is an extremely cost-effective way to gain an immediate improvement in sound accuracy in the room, thus instantly bettering the final products. Last edited by Kostas_Loukovikas on March 3rd, 2019, 6:16 am, edited 2 times in total.